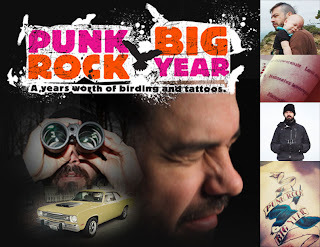 Check out the indieGOGO campaign to raise funds for the post-production of the Punk Rock Big Year documentary. Share this link with everyone please. The perks are amazing. There's only 23 days left to donate and get some of those awesome perks. I'll stop begging soon, I promise. Birds and Beans Coffee. Good for you and nature. Copyright Punk Rock Big Year. All rights reserved.. Watermark theme. Theme images by hdoddema. Powered by Blogger.